•	If you want healthy and strong hair, you will need a diet rich in proteins, vegetables, whole grains and fresh fruit. Hair is made of protein hence this diet will help strengthen your hair and give it a nice shine. 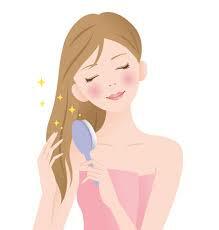 •	After washing your hair, dry it using a cotton fabric towel. If you use a towel made of rough fabric, it may damage your hair and also cause split end problems. •	Limit the number of times you wash your hair to two times a month as frequent washing strips it of the natural oils and proteins that you need to keep your hair and scalp healthy.